If you have a related website which would be of interest to our swimmers, then please contact us - we'd love to hear from you! A CSA approved Channel Swimming Coaching Service, Cambridge area. Ed swam the Channel in 2006. 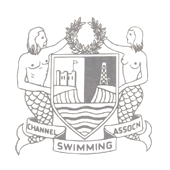 A CSA approved Channel Swimming Coaching Service, London area. Tim swam the Channel in 2005 and has been involved with a number of relay swims and assisted some 9 hour solo swimmers. A CSA approved Channel Swimming Coaching Service. Carol (American) is a retired Marathon Competitive swimmer. She has coached numerous successful (100%) English Channel crossings since 1985. Carol is based in Northern California between San Francisco and Lake Tahoe and has been approved for anyone wanting to do their 6-hour swims with her. 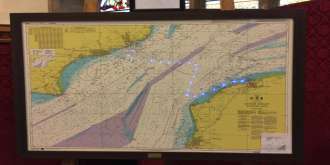 Stephen Smith is a fellow Channel swimmer. He has been bringing our Channel swimmers to Dover for over ten years from various London airports. His price for travel from Heathrow, Gatwick. Luton or Stansted is £160 in their 6 seater Mercedes Vitos (price per trip not per person). For anyone needing help having their medical, we have a contact in the Dover area. Dr Mark Jopling is willing to help our swimmers have their medicals if they are in the Dover area. For more information contact our swim secretary for more information. A Clinical Consultant: For anyone needing help having their medical, we have a contact in the Folkestone / Dover area. Dr Manual Fernandes is the local CSA Medical Officer and is willing to help our swimmers. For anyone needing help having their medical, we have a contact in the Folkestone / Dover area. Dr Matthew Mills is willing to help our swimmers. For anyone needing help having their medical, we have a contact in the Cambridge area. Dr Miguel Arbide is willing to help our swimmers. If you require a house to stay in with your family during your stay and a beach on your doorstep, then Margate may be for you. The accommodation called 'Serenity House' can sleep up to 11 people with 3 double bedrooms and a king sized room. It is 100m from the beach with local amenities nearby. AirBnB house available in Folkestone: Here is the link to our house on Airbnb. It has 4 bedrooms for 6 guests. Harbour location with sea views, short walk to beaches. For long term stays, please email or call them for special channel swimmer rates. 2 bedroom bungalow, sleeps 4. Kitchen, sitting room, bathroom. Variable rates also on Airbnb. We're really keen to host swimmers here, we have rooms apartments and kitchens for groups to use. We're ideal for swimmers training at St. Margaret's Bay 2 minutes away or Dover Harbour as we're only 10 minutes drive from there. 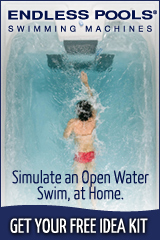 Swim Lodge - ideal for relays or a family. 1 minute from the beach. 3 bedroom house, sleeps 7. Using the above links will take you to a third party website not controlled by The Channel Swimming Association Ltd (CSA). The CSA is therefore not liable for the tone, content or services provided on any third party website, and you access these websites at your own risk.